As a 90’s Kid, I have no clear memory of the 1992 World Cup. I was hardly a year old at the time. I haven’t seen a single match of 1992 world cup. The only clippings from 1992 world cup, I remembered, was from the video of that national song ‘Hey Jazba Janoon’ by Janoon Band, the trophy lifting moment of Imran Khan and players hugging each other in the ground. Cricket infrastructure at that time was not as developed as it is today, however we somehow managed to lift the final trophy. As Zia’s Islamization hangover was fresh at the time, it was a difficult to digest pill to think about women’s cricket in the country. Now, we have a women cricket team, yet even majority of the cricket fans don’t know them. 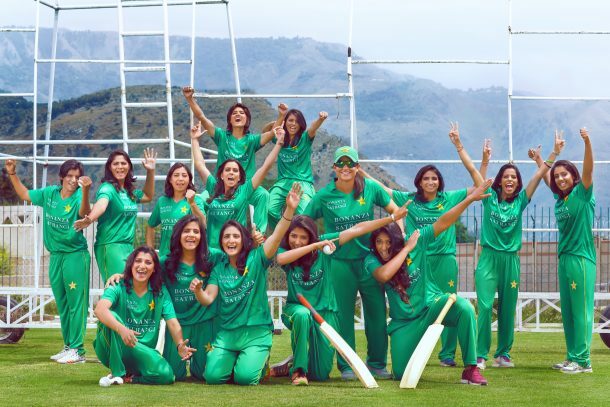 I was hoping that under-rated and under-projected Pakistan’s women cricket team will see some sun shine with Pakistan Super League (PSL) but it was discouraging to see that like our society, our cricket board and PSL franchises have plans only for boys. No matter how well their records are, we always prefer to highlight and root for man in green. As per records, captain of Pakistan T20 team Bismah Maroof has better batting average of 25.71 than Kamran Akmal and Ahmed Shahzad, but we see Kamran Akmal as a cricket expert on TV channels and Ahmad Shahzad as a ‘Anokha Ladla’. In our culture, property is distributed between sons and daughters in ratio of 2 to 1. But, in cricket the distribution of resources between men and women is far more biased and male oriented. The monthly retainer for a female cricketer is around 80 percent less than their male counterparts. And the monthly salaries of ‘Grade A’ women players in Pakistan are lowest in the world. Women PSL may be an unrealistic idea at this point of time with the argument stating its commercial feasibility. There are some solid questions looming above on idea of a women’s league like PSL. Will advertisers pay for it? Will franchise owners be willing to invest? Will the sport itself sustain visibility to attract viewers in stadiums and on TV? Women cricket tournament may not be much an attraction for Pakistani audience, but giving them a piece from PSL pie can be a good attempt to brand women cricket in Pakistan. I remember when Pakistan women’s team outclassed New Zealand in ICC women Championship last year. Twitter, Facebook and all the TV channels have gone gaga over the win. Given the fact, no one in the country give a damn about women cricket, but still we celebrated this ‘one and only’ notable victory of our women’s team. Low monthly retainers and little match fees is discouraging, but more discouraging is the fact we are keeping them out of the limelight they deserve. Despite the fact, we need models and female celebrities to glamorize our PSL event, our women cricketers are secluded from the country’s biggest cricket extravaganza. The women cricketers of our country are as talented as their male counterparts. PCB and fans should give them a space in local events. It would be a delight seeing a woman cricketer as a brand ambassador of every team in PSL.